Future World is just a poorly made copy of the much superior Mad Max: Fury Road, and even when accounting for a lesser budget, still was pretty bad which is unfortunate considering the cast, which were rather wasted (both in terms of talent and alcohol). Lionsgate Home Entertainment has announced the date and released artwork for the sci-fi drama, Future World starring James Franco, Lucy Liu and Milla Jovovich. Click on the link below or image to the left to check out the features and artwork. Resident Evil: The Final Chapter in all likelihood will not the “final” movie of this flailing franchise and this entry just wasn’t good but not quite awful either, rather forgettable more than anything. Resident Evil: Afterlife isn’t a great film but does possess some entertainment value which is good considering the plot is incredibly thin as is the villain which was merely a knockoff of Mr. Anderson from The Matrix. 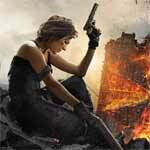 Sony Pictures Home Entertainment has announced the date and released artwork for two fantasy action thrillers making their debuts on 4K UHD, Underworld and Resident Evil: Afterlife. Click on the link below or image to the left to check out the features and artwork. Zoolander No. 2 might’ve had good intentions behind the camera for Ben Stiller and its cast, but the jokes rarely landed leaving us with the stupidity of the original without any of comedy. I can’t say I had a displeasured experience while watching, merely indifference and counting down the time until it would finally end. Resident Evil: Retribution is a lazy movie and one that despite a $65 million budget, felt so much smaller as the cast are contained more or less in one location (given Tokyo, Moscow and NYC were all computer simulations) but even so, situations are created that make no sense and you have characters who make decisions which not only defy logic but would’ve kept them out of unnecessary fights. 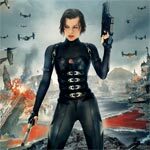 Sony Pictures has announced the date and released artwork for the fifth installment in the series, Resident Evil: Retribution starring Milla Jovovich, Michelle Rodriguez, Sienna Guillory, Kevin Durand and Boris Kodjoe. Click on the link below or image to the left to check out the features and artwork. 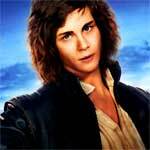 The Three Musketeers isn’t a great or even innovative movie but still somewhat entertaining. Director Paul W.S. Anderson “borrows” different styles done in better movies yet it still works while the cast is well done and mostly give adequate performances even if some of the characters are paper thin. As it stands, if you’re not a stickler for the source material, you might get something out of the movie; otherwise you’d be better off skipping. 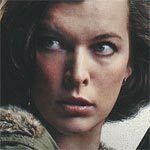 Faces in the Crowd hardly breaks new ground in the genre, but it has a few things going for it Milla Jovovich turns in a good performance, the mystery aspects are at least compelling and what writer/director Magnat does by putting the audience in the main character’s mindset is unique and effective. The Blu-ray itself is light in features but is strong with the audio and video transfers. Stone had the talent to be a special movie but it didn’t quite measure up especially with the screenplay. De Niro himself is sadly just OK in his role while Norton, as usual, excels playing a tormented character who you’re not exactly sure what to make of. You might find this to be good as a weekday rental otherwise wait to check it out on HBO in a year or so. Check out the 3D Blu-ray review for Paul W.S. Anderson’s latest in the video game adaptation franchise, Resident Evil: Afterlife. The horror-thriller-adventure stars Milla Jovovich, Ali Larter, Kim Coates and Wentworth Miller. How does the 3D effects stack up on the home video market? How does it measure with the previous installments?